Eggington Foresters cricket team has been left “devastated” after its club was broken into and over £3,000 worth of vital equipment stolen. Eggington Foresters Cricket Club, of Mill Road, Stanbridge, is appealing for urgent donations to help raise £3,500 to cover the costs of items that were taken, including a Ransomes Super Certes Walk Behind Mower and Apache AR601 Petrol Scarifier, grass seeds, fertilisers, line paint and a hose trolley. After reviewing its CCTV, the club claims that on Tuesday, July 10, at c.7.30pm a man climbed over the fence of Eggington Foresters and stole some items; however, he then returned early on Thursday morning (July 12) at c.3am with a van and loaded it with club equipment. Secretary, Wasim Yaseen, claimed: “It’s quite depressing, because it happened in the middle of the [cricket} season. When the man came back with the van he cut the gate lock and snapped the lock for the barrier. “The club is voluntary and our money comes from membership fees and contributions, so the cost is all on us. The sports club is for both children and adults and Eggington Foresters is passionate about giving youngsters opportunities, helping to keep children somewhere safe and away from crime and gangs. The club has a committee of seven people and a JustGiving page has been set up as they appeal to the public for donations. Wasim added: “All donations will go directly to EFCC who will be able to purchase the relevant replacements for them to continue to provide cricket facilities for all our young and old members. 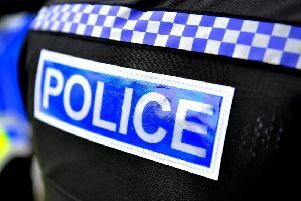 A Bedfordshire Police spokeswoman, said: “A burglary at Eggington Foresters Cricket Club in Leighton Buzzard was reported to us on July 12 and our investigations are currently ongoing.